Crack cocaine is a fast acting drug, due to its composition and its method of use. While the "high" normally last for less than an hour, it doesn't mean that when the drug quits working it becomes undetectable. It remains in the body for far longer than the user can feel its effects. Since crack is still cocaine, the detection times are the same as for the traditional drug. While crack cocaine is smoked so that it reaches the brain quickly, it still ends up being metabolized by the liver as it makes its way through the body. The body sees it as a poison and tries to "clean it up" before it's eliminated. 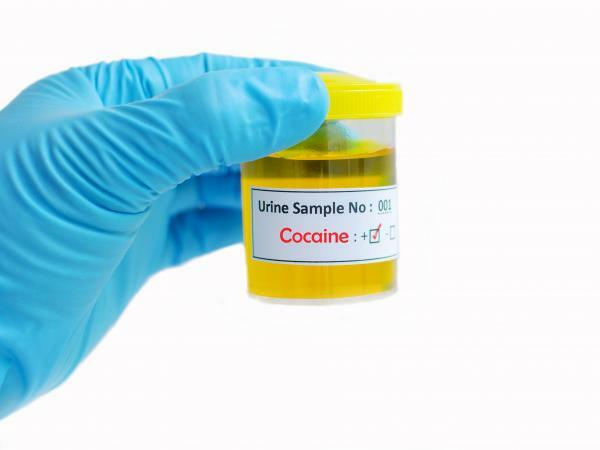 When a person is asked to submit to a urine test for crack cocaine use, the test detects the presence of benzoylecgonine, a metabolite found in the liver of cocaine users. According to Labcorps, the standard length of time benzoylecgonine is detectable in the urine is between two and four days for the average user. However, it is longer for the habitual user, who may have detectable metabolites for up to two weeks after cessation of use. Some people try to pass urine tests by drinking a lot of water the day of and day before. However, lab procedures have gotten smarter and technicians can test how dilute the urine is and make a person retest. It's possible to use a blood test to detect the actual cocaine drug in the system, but that only works for about 12 hours. The metabolites will be present in the blood for as long as 48 hours. According to David A. Gorelick, MD, these detection times are similar for both blood and saliva. Hair is very good at retaining traces of substances long after a person has stopped using a particular drug. Gorelick states that crack cocaine may be detected in the hair for years, depending on hair location, environment and differences in hair composition. Most commonly, it remains detectable for three months. Use amino acids or protein supplements, such as TrophAmine. Take kava, ginseng or valerian root. Use ginkgo bilboa or other nootropics to rebalance the brain. Participate in stress-relieving activities like qigong, hatha yoga and meditation. Detox should be monitored by health professionals. Cognitive behavior therapy is also recommended in an effort to get to the root of the addiction. Crack cocaine is a very dangerous and highly addictive drug. Chronic use can lead to cardiac arrest, malnutrition and other severe problems. If you're having trouble with a cocaine addiction, there are treatment programs available to help you. To find out more, contact the Coalition Against Drug Abuse at 1-800-943-0566.